I scrutinized Dallas Fort-Worth Airport while our plane landed in Dallas. During a brief two-hour layover, I wondered how many special forces were ready at the helm, to take over the airport and Texas as a whole. But alas … I survived. For those out of the loop, Jade Helm 15 is a scheduled special forces training exercise across seven Southwestern states. Sparked by the stupid and associated conspiracy theories, public officials have heard inquiries from whether this may in fact be just an exercise to whether all seven states would experience martial law. Others claim Jade Helm might be part of a plot to give Texas back to Mexico, a prelude to an economic collapse, Wal-Mart store closings are really holding grounds for troops or an entry point to a series of secret underground tunnels. 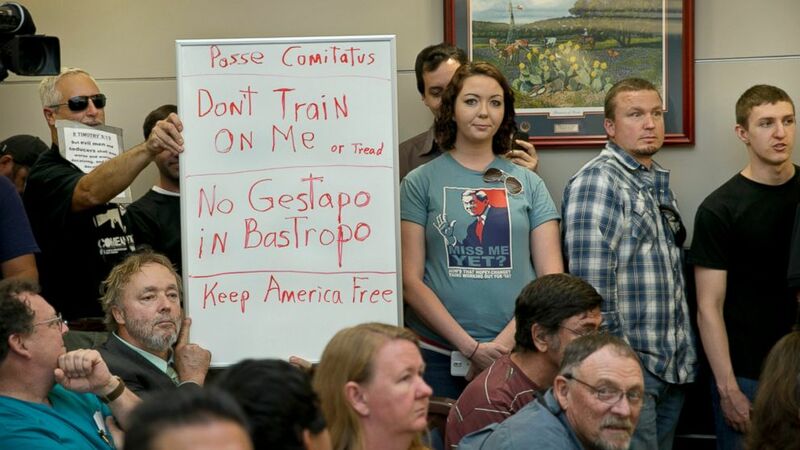 One resident brought a sign to last month’s Bastrop County Commissioner’s Court hearing that read, “No Gestapo in Bastropo.” This led Todd Smith, a Republican lawyer and former state legislator, to accuse the governor of “pandering to idiots” and legitimizing paranoid right-wing machinations. Still, Governor Greg Abbott asked the Texas State Guard to monitor the operation; effectively authorizing the government to monitor the government. As a Buddhist, I understand many of the fears we all have. We have fears of terrorism, fears of death, fears of being separated from people we love, fears of losing control, fears of commitment, fears of failure, fears of rejection, fears of unemployment, etc. Many of our present fears are rooted in what Buddha identified as “delusions” – distorted ways of looking at the world and ourselves. If we learn to control our mind, and reduce and eventually eliminate these delusions, the source of all our fear, healthy and unhealthy, is eradicated. We cannot control whether things will go our way or not, but we can learn to control our own minds, our responses, and our own conduct, and in this way gradually find a genuine liberation from all fear. “… be not afraid, America. We are Texans. We will resist logic and intelligence to the very end. And we will keep up our traditions. From the Alamo to the Battle of Goliad, the Confederacy, LBJ’s Vietnam, George W. Bush’s Iraq War, and even Jerry Jones’ Dallas Cowboys, we have a long legacy of losing. And the odds are also against us in the coming Battle of Jade Helm, but we expect to prevail against the invaders, and we will not give up our rights.